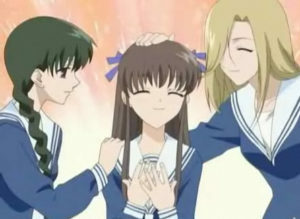 In another time (and what felt like another world), a friend introduced me to the anime Fruits Basket. In this distant time, the anime and manga, penned by Natsuki Takaya (I always love reading her asides about life and gaming in the manga), were enjoying a crazy amount of success in the US. I have some theories about this—primarily, the strong bonds of the main character and her protective friends and of course, the Zodiac Curse characters—particularly, the Team Kyo vs. Team Yuki aspects. But I digress. 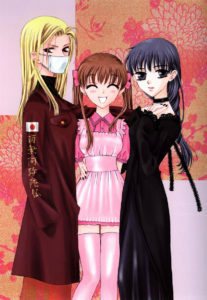 Regarding Fruits Basket: like so many anime and manga I’ve loved, there are some pretty big and loud problematic moments, arcs, and relationships that weave their way through a narrative that in the end, stuck with me in ways more positive than not, despite the not insignificant issues I had (others have blogged about these problematic issues far better). For this blog, I’m focusing on my biggest takeaway from both the manga and anime—Tohru’s optimism. All these many years later and as a much Older, Wiser Me, I’m working through the manga in full. Natsuki Takaya, the woman who created the manga, did not know her work was going to be the enormous success it turned out to be—at the time, she was something of a phenomenon even stateside. The manga unsurprisingly delves far deeper into the characters and their dynamics than I’d even hoped since like many, I saw the anime first and TV pacing is rarely the same as what you’ll find in the corresponding light novels or manga. Back in the day, I’d read volumes here and there (mostly from friends’ collections and libraries). I’d secured the entire series from E-bay, a generous and glee-inducing gift from the husband-person and I find myself only on volume 11 even after over a year, slowly savoring the series like the best kind of chocolates (the ones I hide from myself to keep from eating all at once). All these many years later, I’m seeing something that I did not see before—something that Younger, More Impatient Me didn’t seem to get . . .the importance of Tohru’s decisions and personality. At first, Tohru’s character sometimes bothered me. I still sometimes have to empathize my way past her character’s propensity toward martyrdom (powerful tropes at work, and something I see in so many analogous series). It drove me nuts that she was far more willing to take hit after hit in life than to cause others trouble. What I overlooked, though, was Tohru’s soul-deep desire to see the best in people and situations in life. It’s not a spoiler to say that the death of Tohru’s mother is the event (occurring prior to the series beginning) that shapes her situation and yes, her character and choices. We learn from moment one that Tohru is an only child mourning a terrible loss. So many anime and manga are filled with armies of parent-less children but what makes Tohru different for me (in a similar way Natsume of an earlier series I blogged about) is how she chooses to process the loss. Unlike a magical girl or a chosen one, Tohru is not outwardly remarkable to readers/viewers. She is an average to below average student, she is not great at sports or art or really anything besides seeing the world in a way that only she can. I didn’t know what to think, at first. Tohru Honda: helpful always, a good cook, sparkles and rainbows levels of perky, hard-working, never thinking as much of herself as I’d like her to . . . sometimes I struggle with those characters. I want them to be happy, to have agency. To assert themselves and own their place in the world. The thing is, Tohru does that . . . again and again. She does speak up for herself when it matters (New Year with her extended family, for instance). Tohru is an optimist, you see. And in her case, that means yes, more hard work. Working all the time to make her relationships authentic and rich and full. Working hard to see the goodness in the world even during the worst of times, and taking the time and making the effort to share this goodness with those around her. Optimism may be her default setting but as a girl who has lost so much, who daily faces challenges (financial, social, psychological) that could easily lead her towards cynicism, she again and again forces her gaze to the light, the beautiful, and the meaningful in life. Optimism is not easy, not even for the Tohru Hondas of the world. It takes force of effort, practice (as much as any sport, hobby, or discipline). It takes force of will. It takes bravery in the face of being knocked down over and over again. Tohru’s friends sometimes talk among each other about her strength and how it shines in her decisions to be, unabashedly, who she is. The rough-and-tumble Uotani, the reserved and sometimes broody Hanajima, and the whole lot of the Sohmas who are forever wowed by her positive attitude and egalitarian kindness . . . if she is a magical girl, her ability to choose to see what is good in those around her is her biggest superpower. Sometimes, I need to remember this. I get it now that I’ve been through years and stumbles and deep and jagged losses. I treasure when someone takes the time to see the good in me, even past the quills and barbs. 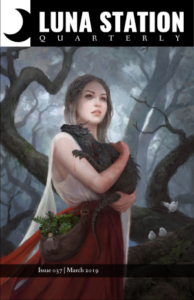 And I thrive when I lift my face to the sunlight, when I bask in the goodness that exists all around me even while knowing it’s not the only game going, by far. So here’s to the Tohru Hondas of the world—thank you for the light you bring.